Raise Money Now! Mountain Mike’s Makes It Easy! Wouldn’t it be nice to raise money for your organization with no capital expense and virtually zero effort? Mountain Mike’s makes it easy with several programs to help our customers and our communities’ organizations raise funds effectively and quickly. Perfect for schools, churches, sports teams, non profits and leagues. We have custom invitations designed for your organization to distribute to your guests. Your organization distributes as many invitations as it can to all of your potential boosters/supporters. On the day of the event whether dine-in, carry-out or delivery, we will contribute to your organization up to 30% of the total pre-tax sales of all guests brandishing one of your fundraising day invitations. An all-day event, open-to-close! Fundraisers: Please call restaurant G.M. for fundraising opportunities. We put the “FUN” in Fundraising! Earn money for your organization and have FUN doing it! Sell “Play All Day Wristbands” good for Go-Karts, Rookie Track, Bumper Boats and Miniature Golf. Now that is FUN! Call today and ask for our Group Sales Director for more information or to make your reservation. Round Table Pizza Fundraiser- Gosford Rd. 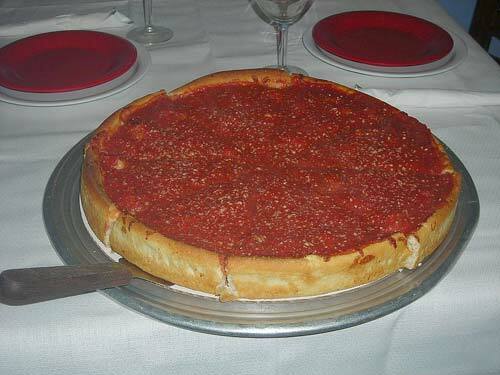 Welcome to Cubbies Chicago Style Pizza, a taste of the windy city in your own back yard. At Cubbies we pride ourselves in our Legendary Chicago Style Deep Dish with plenty of Cheese, Sauce and your favorite toppings. And for the Thin Crust fan we have a Traditional Thin Crust that will truly hit a Home-Run. At Cubbies we don’t just make great Chicago Style Pizza we also have Pasta, Sandwiches Ribs and Desserts and don’t forget our incredible Chicago Style Hotdogs. Churches, Temples, Schools (Public & Private), Clubs and Organizations! Please Call Store for Easy Fundraising Opportunity!